My husband and I were serious travelers at one point. During the 80’s and 90’s we took 2 international trips per year--once over the holiday break or during our spring break and then again over the summer. The dollar was strong then and we could do this out of income--two community college teachers’ salaries. I became kind of self-righteous about not letting terrorist attacks stop me. We traveled to southern Spain during the holiday break after September 11 when just about everyone we knew cancelled travel plans. When the dollar tanked, we stopped going to Europe and used the opportunity to head south—Mexico, Ecuador, Argentina, Chile. I fell in love with Mexico, the people, the colors, the food. 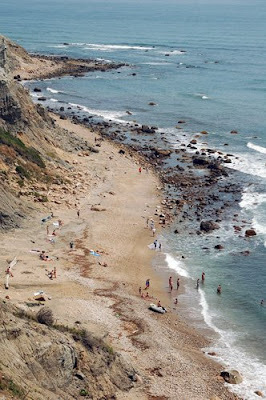 This summer (and last summer) we rented a house on Block Island. My husband and I had the same reaction: isn’t it nice not to have to deal with airports? The list goes on and on: getting there hours before an international flight and then dealing with the inevitable flight delays, the 7 hour flight turning into a 14 hour ordeal; the endless security lines; the lost luggage; the ever-shrinking seats and disappearing amenities. You have to really want to go somewhere to put up with all this! Our last trip outside of the continental U.S. was to Puerto Rico—chosen in part because it was a 4 hour non-stop flight from Philly. Our last major international trip was Argentina and Chile in August 2006. We loved Buenos Aires but the return trip was the flight from hell. I am sure we will deal with international airports again. There’s a world out there and we want to see more of it, but taking a break from airports is really nice. 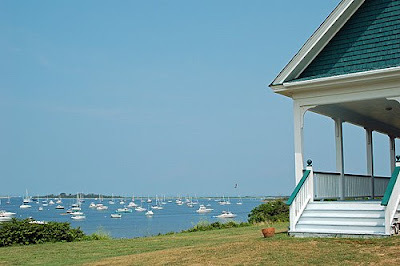 And a week in Block Island with my husband and some good friends is now my idea of a great vacation!